Words cannot express the sadness the racing community is experiencing over the sudden loss of one of the sports most accomplished racers, Doug Hoffman. 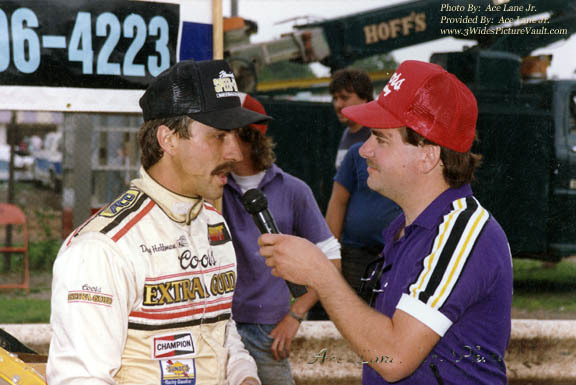 Doug Hoffman interviewed by Ron Bailey at Flemington Speedway in this 1980's photo provided by Ace Lane Jr.
Doug began his winning ways early behind the wheel of a '57 Chevy at Dorney Park and then followed it up with a dirt track career that spanned 3 decades, with wins at every track he competed on. Doug also showed his true racing ability as he successfully transitioned to the asphalt surface of Flemington throughout the decade of the 90's, winning many feature events. In recent years, Doug took on the challenge of promoting short track racing at Mahoning Valley Speedway from 2005- 201l, a speedway that needed a dedicated racing person to help guide the speedway into the new century, and Doug did just that. 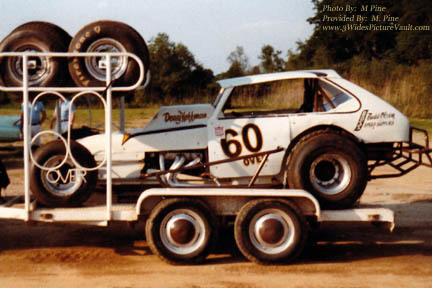 In 2012, Doug excited the racing community once again... not from behind the wheel of his #60 Over or #125 as he had for so many years, but by becoming the promoter of Bridgeport Speedway, a track which Doug always spoke highly of. 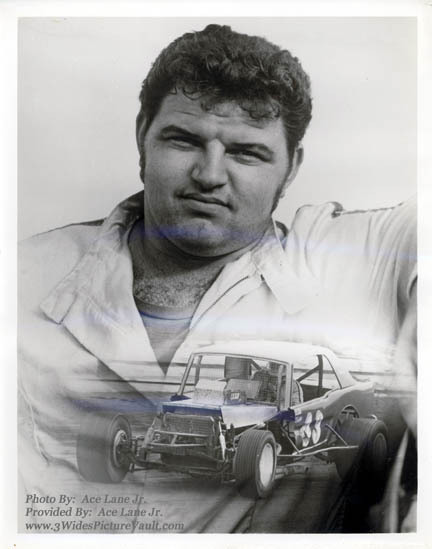 The excitement generated in his first year as promoter was unmatched and drivers and fans were once again excited about a future for Bridgeport Speedway. For his many winning years behind the wheel of his racecars and for his dedication to the sport of short track racing, Doug Hoffman will forever live in our hearts and minds. Our condolences to the family and many friends of Doug Hoffman. 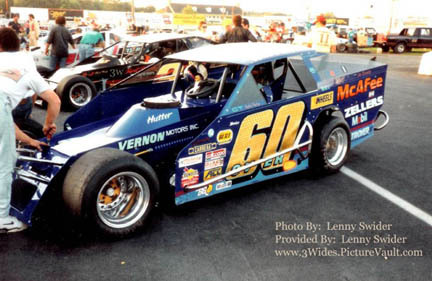 Douglas C. Hoffman, 54, a Pennsylvania Auto Racing Legend, of Allentown, died Monday, December 24, 2012 in his home. He was the husband of Gena L. (Schock) Hoffman. The couple celebrated their 15th wedding anniversary last November 24th. Born in Allentown, October 30, 1958, Doug was the son of the late Charles F. and Joan E. (Hippert) Hoffman. 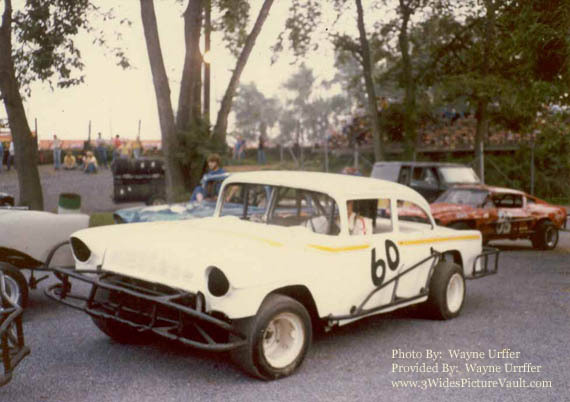 Doug began his racing career at the former Dorney Park Speedway winning in his 5th start. 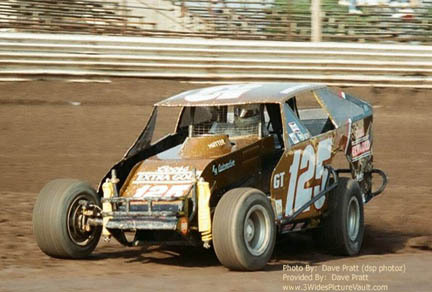 During his 32 year career, he won an unprecedented 482 feature wins and 25 Championship Titles at 40 different tracks in nine states and two Canadian provinces. Doug won the NASCAR Northeast Regional Championship in 2004. His prized achievement in auto racing occurred in 1996 when he won the Super DIRT Week, Fay's 300 in Syracuse, New York. 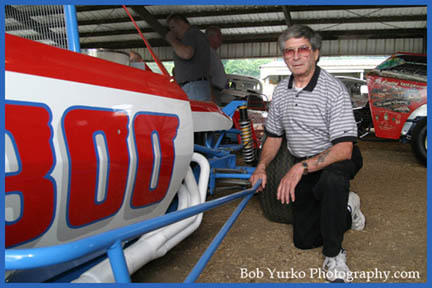 From 2005 - 2011 he was the promoter of the Mahoning Valley Speedway in Lehighton and this past year promoted his favorite race track, Bridgeport Speedway, in Swedesboro, New Jersey. Doug owned and operated DCH Trucking, LLC for the last 9 years. Survivors: In addition to his wife, Gena; daughter, Joette A. Hoffman of East Stroudsburg; step daughter, Skye L. Michael of Allentown; granddaughter, Mattie Vorhis of East Stroudsburg; brothers, Michael F. Hoffman of New Tripoli, David W. Hoffman of Florida, Donald C. Hoffman of Allentown, Keith J. Hoffman of Whitehall. Service: Family and friends may pay their respects from 1 - 8:00 p.m. Friday, December 28, 2012 in the Heintzelman Funeral Home, Inc., 4906 Route 309, Schnecksville, PA. A private funeral service will be held at the convenience of the family. Private interment will follow the service at Union Church Cemetery, Neffs. Contributions: In lieu of flowers memorial contributions may be made to the Checkered Flag Fan Club (Injured Drivers Fund) c/o the funeral home, P.O. Box # 196, Schnecksville, PA 18078-0196. 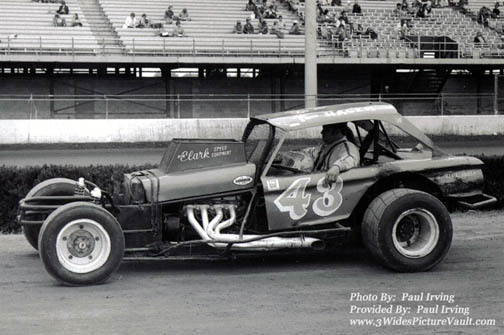 The racing community is saddened by the loss of one of the sport's truly great drivers, Bob Pickell. Bob's raced his way through 4 decades driving some of the most memorable cars of the day... made even more memorable because of Bob's winning ways behind the wheel. Thanks for taking us on the ride Bob... What a ride it was. 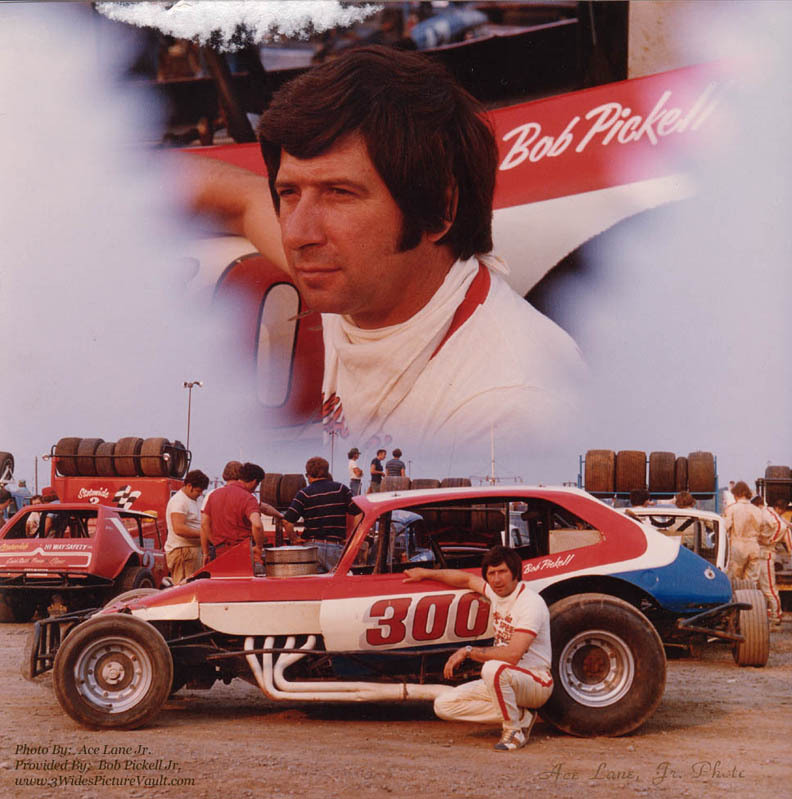 Our condolences go out to the Bobby Jr., and to the Family and many, many friends of Bob Pickell. 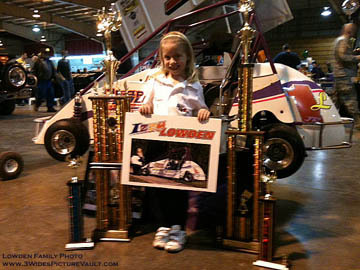 Sad news has reached us on the passing of long time racer Lauden Potts. 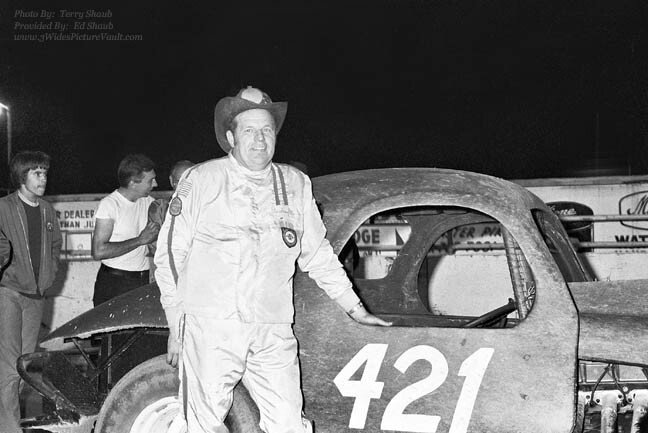 Lauden (pictured above in victory lane at the Reading Fairgrounds with the #421) always found the fast way around... regardless of what car and or what owner he drove for. Our condolences go out to the Potts Family and we'll always remember Lauden here in the pages of The Vault and in the memories that Lauden created that will last our lifetime. We will miss our friend Scott. Scott accomplished something that many of us only dream about. After years of being a devoted fan, Scott fulfilled his dream this year by entering the rookie ranks at New Egypt Speedway in his own #4 Crate Sportsman. 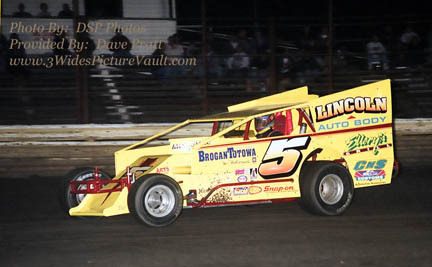 This past Saturday night (8/18/12) at New Egypt Speedway, it appeared that Scott suffered a medical emergency inside of his #4 racer while under yellow flag conditions. With the yellow lights on, those in attendance were first concerned when they noticed Scott's car moving at a very slow rate of speed between turns 3 & 4 at the very bottom of the track, with the left side tires lightly scraping along the inner rail. As the car slowly exited turn 4 , (at the point where the inner rail stops) the #4 continued at a slow pace into the infield of the track, making a slow gradual turn to the left, making slight contact with the back of a tow vehicle, continuing on toward the inside of the turn 3 & 4 rail where it came to a stop as it reached the rail and a jersey barrier simultaneously. Rescue workers arrived within seconds of the car coming to a stop and began attending to Scott. He was removed from the car and taken to the hospital where it was announced that he had passed away on the morning of Sunday, Aug 19th. Scott was a devoted husband, father.... a dirt track fan who respected all competitors, and who admired Billy Pauch. I can still hear Scott saying, "That guy is unbelievable!" after watching Billy win yet another feature event. Scott was a good friend and I thank him for taking me through part of his journey... 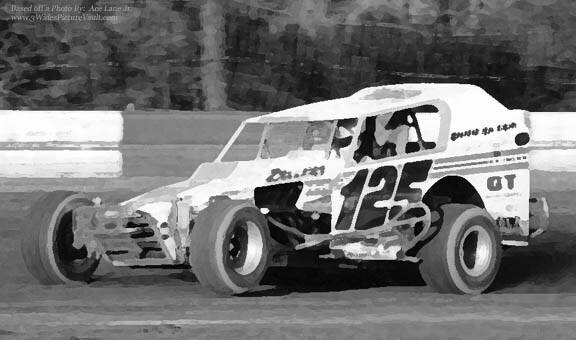 Letting me feel the excitement during this past winter and spring as he readied the #4 Crate Sportsman for the 2012 Rookie Division... Letting me listen along with him and learn from experienced drivers on how best to set up the car, and then watch as he applied everything that he had learned, one step at at time... and taking it to the track to put all that work to the test. I always admired that as excited as Scott was about racing this year, and overcoming the challenges that it brought, his devotion to family was paramount. There were times when I'd ask if he would be racing on an upcoming weekend and Scott would always let me know which weeks he was planning on racing, and which weeks he had plans to be with his family (including coaching kid's sports.) 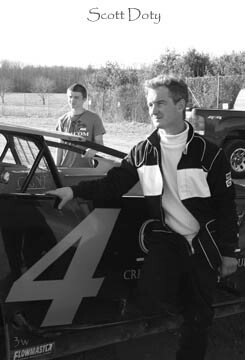 I always admired that as passionate as Scott was about racing, his devotion to family always came first. My sincere condolences to Scott's family, friends and to anyone that was as fortunate as I was to know Scott. 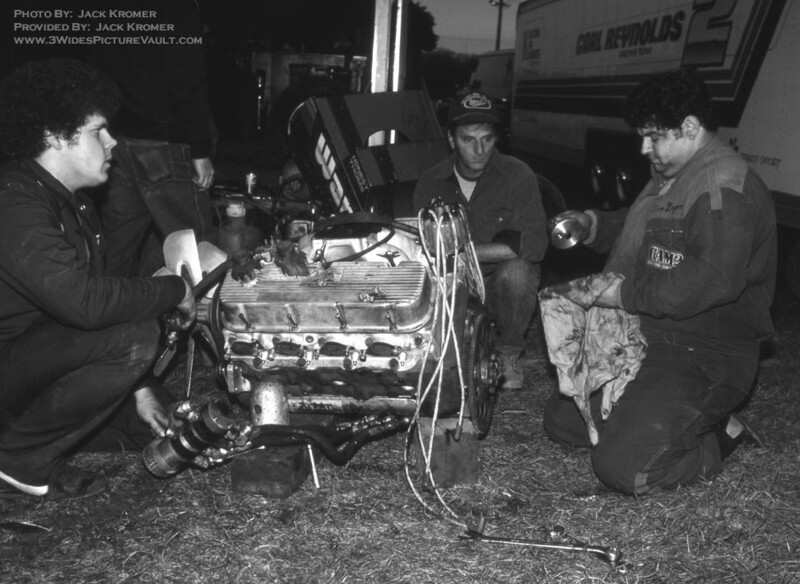 Fans of short track racing have grown up with the name "John Burnett", whether for supplying the power under the hood, or for the design of many of our favorite racecars. Sad news has reached us that John has passed. Our condolences to the friends and family of John Burnett. Sad news has reached the racing community on the passing of one of the sports best, and one of the sports "originals", Tom Hager. 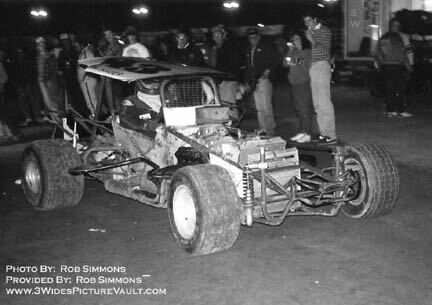 Tom had a knack for not only making the most out of his own equipment, but could always be counted on running up front whenever the chance came to get behind the wheel of a quality ride (including the Schenk/Ragno #A, Council Harrell #35, and others.) 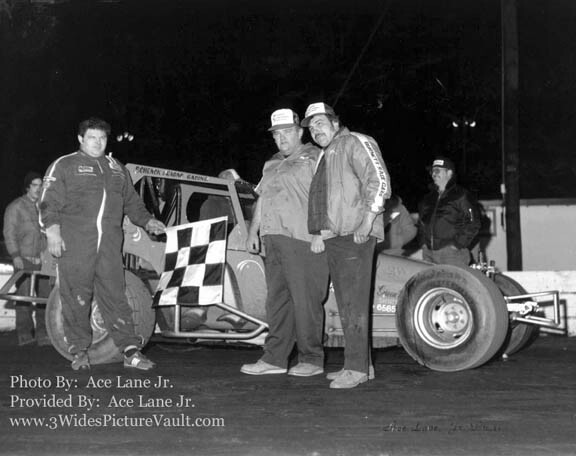 From his early days as a winner in the highly competitive Sportsman Division at Flemington (early 70's) right up to winning a modified feature event just a few years back (2000's), Tom could always be counted on to take it to the front. Our condolences to the friends and family of Tom Hager. Sad news has reached the racing community on the passing of one of the sports best, and one of the sports "originals", Tom Hager. 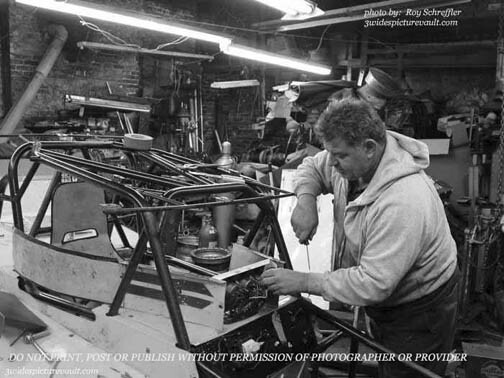 Tom had a knack for not only making the most out of his own equipment, but could always be counted on running up front whenever the chance came to get behind the wheel of a quality ride (including the Schenk/Ragno #A, Council Harrell #35, and others. 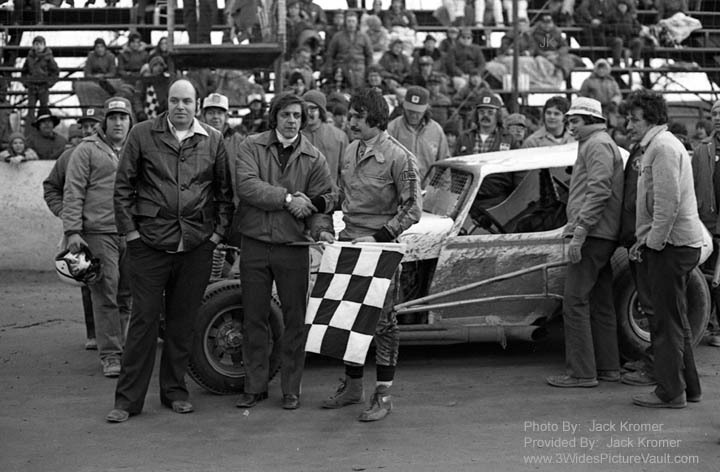 From his early days as a winner in the highly competitive Sportsman Division at Flemington (early 70's) right up to winning a modified feature event just a few years back (2000's), Tom could always be counted on to take it to the front. Our condolences to the friends and family of Tom Hager. "I am sending this to you in hopes you will give all of the Tom Hager fans an opportunity to read the story I wrote about him that headlined the recent Dirt Track Heroes program in Phillipsburg, NJ. Little did any of us know that would be the last time that we would spend time with him." 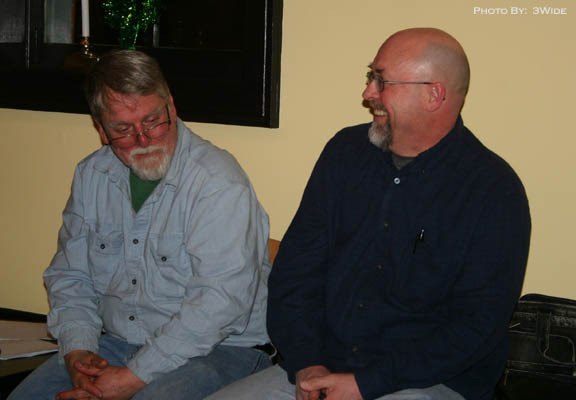 Dennis Smith and Rick Shive share a few stories and a few laughs at The Flemington Speedway Historical Society Meeting (FSHS). 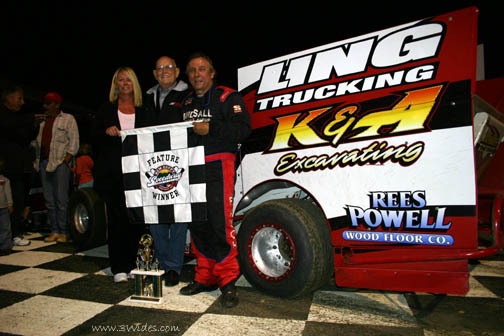 Don Ling in victory lane in this 2010 photo from New Egypt Speedway. Word has reached us that long time short track racing supporter Don Ling has passed. We offer our condolences to the many friends and to the family of Don Ling. The Garden State Vintage Stock Car Club (GSVSCC) Hall of Fame and Award Recipients for 2012 included from left to right: Hall of Fame Inductee Driver Larry Voss (left), Hall of Fame Inductee Car Owner/Builder the late Jim Fodor (#13) (sons pictured above), Hall of Fame Inductee Lifetime Achievement Award recipient racer/car builder Nick Cottone, Hall of Fame Inductee/Jim Delaney Award recipient driver Jack Duffy, Hall of Fame Inductee Photographer Jim Smith, Bobby Thomas Dedication Award recipient (me), and Hall of Fame Inductee Driver the late Dave Hulse (#5 & #68) (son pictured above). 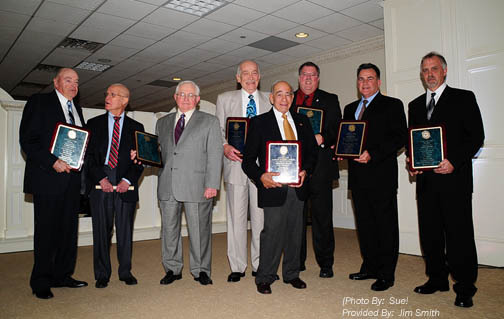 Thank you to the GSVSCC for honoring the history of auto racing in the Garden State and for the recognition of all of this year's inductee's into the Hall of Fame.